A big part of effectively managing vacation rentals is communication with the guest, even after the booking has been made. Updating the guest with information about the property and surrounding area after they book but before they arrive makes for a much smoother experience. There are innumerable other emails that are useful, such as pre-departure instructions, after departure review requests, booking updates to housekeepers, etc. OwnerRez accomplishes all of these scenarios with email templates (to define what to send in the email) and triggers (to define when it goes out). 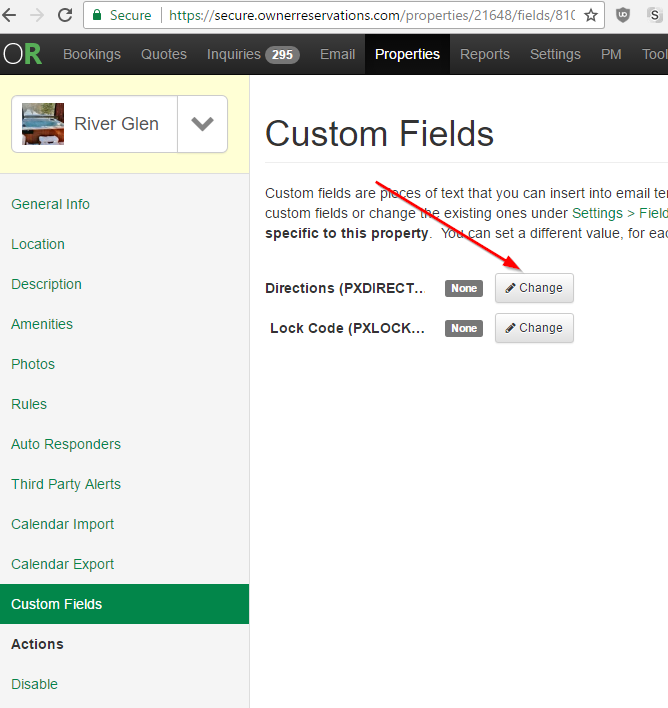 Custom fields are used to define and mail merge in per-property information if you have more than one property. 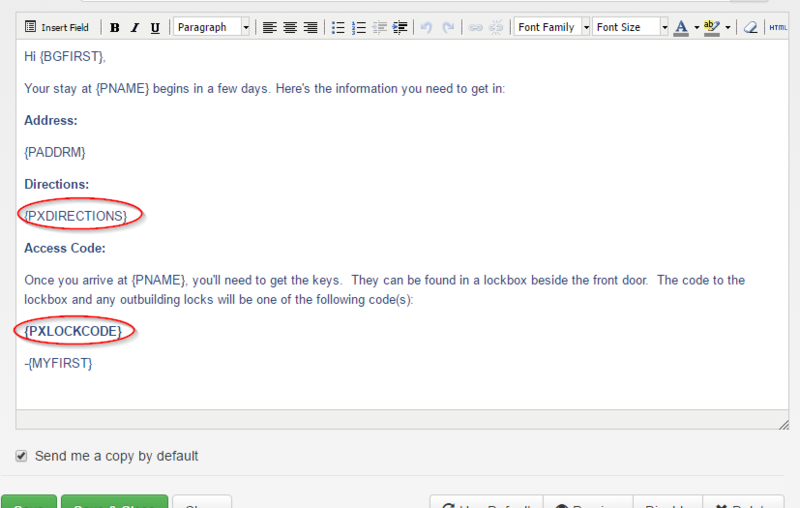 In this article, I'm going to show you how to write an email that goes out 7 days before arrival with a property lock code and directions. I'll be using a sample account with two properties -- Stoney Peak and River Glen. 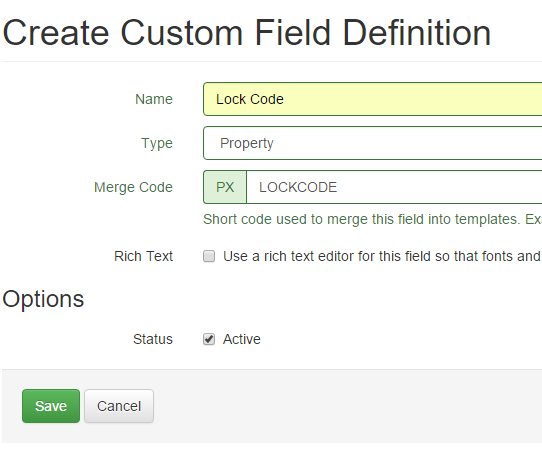 First, create custom field definitions, one for the lock code and one for the directions. Make sure to select type of Property, (not Booking). 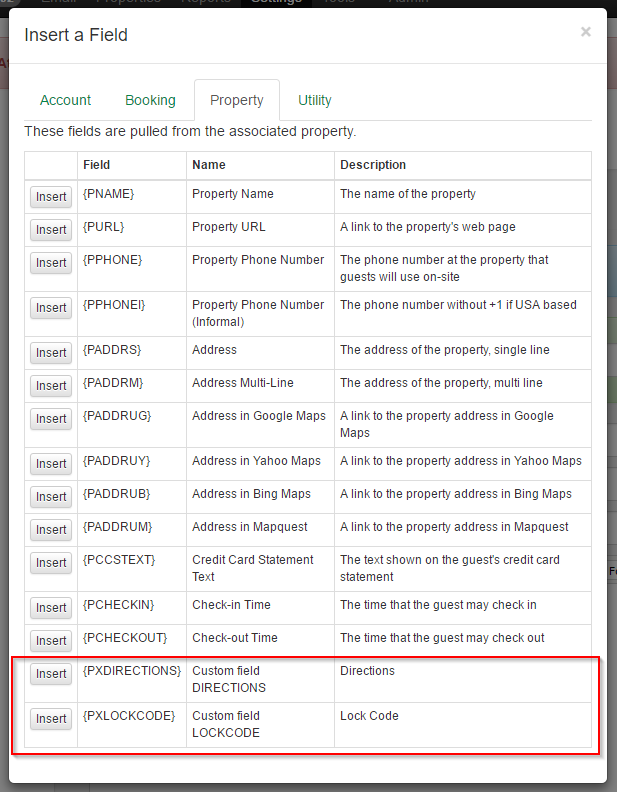 This will allow you to populate information for each property. 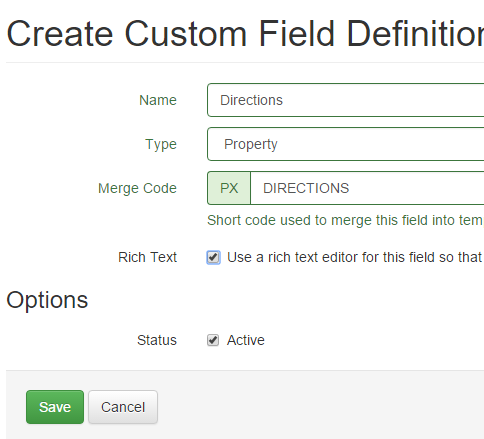 Once a custom field is created, you can reference it in any email template which will mail merge in the correct value. 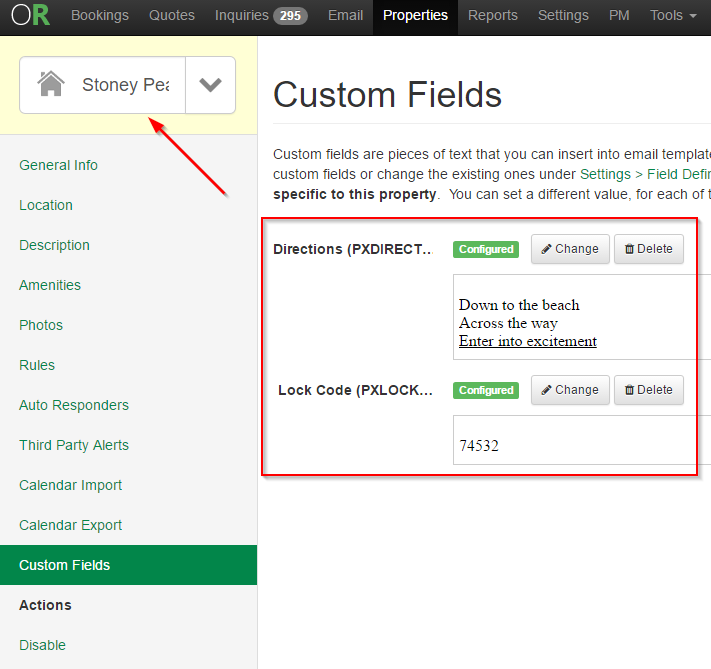 If you have only one property, you can skip over the custom field definition step and go straight to the steps on creating a custom booking template and a trigger to send it. In you situation with a single property, you don't need to put different things in emails for different properties. 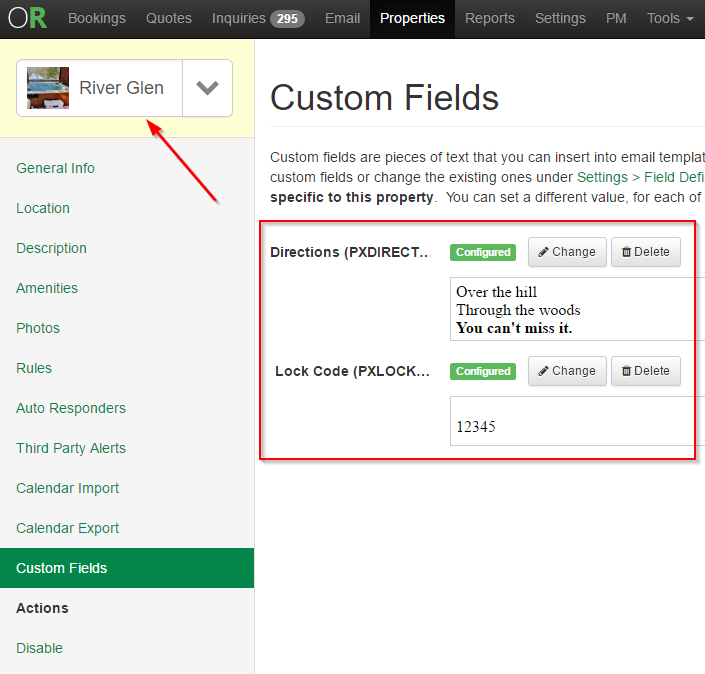 If you've got multiple properties, custom fields are the key to being able to simplify your workflow. A custom field is like a certain shaped bucket, where each property can have a different value for that field. 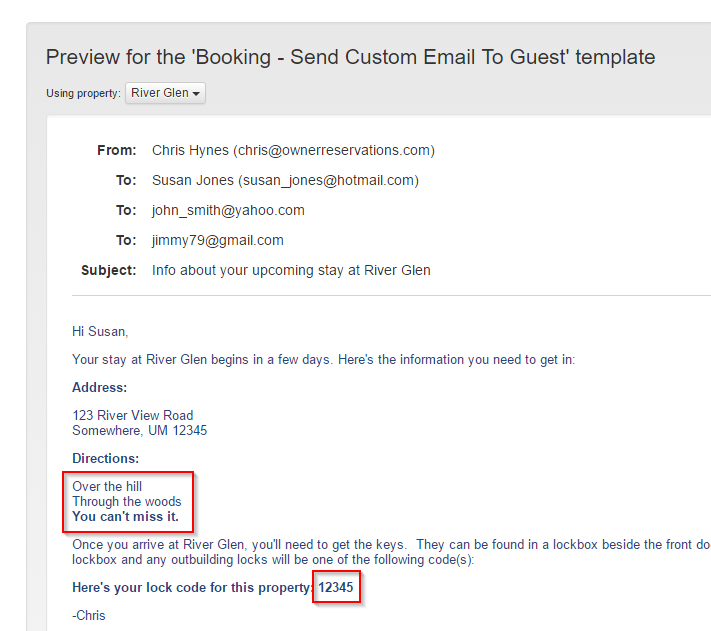 In the email you reference the field name, and then that field name is replaced with the value you set per property. That's a mouthful, but keep going -- it'll become clear soon! 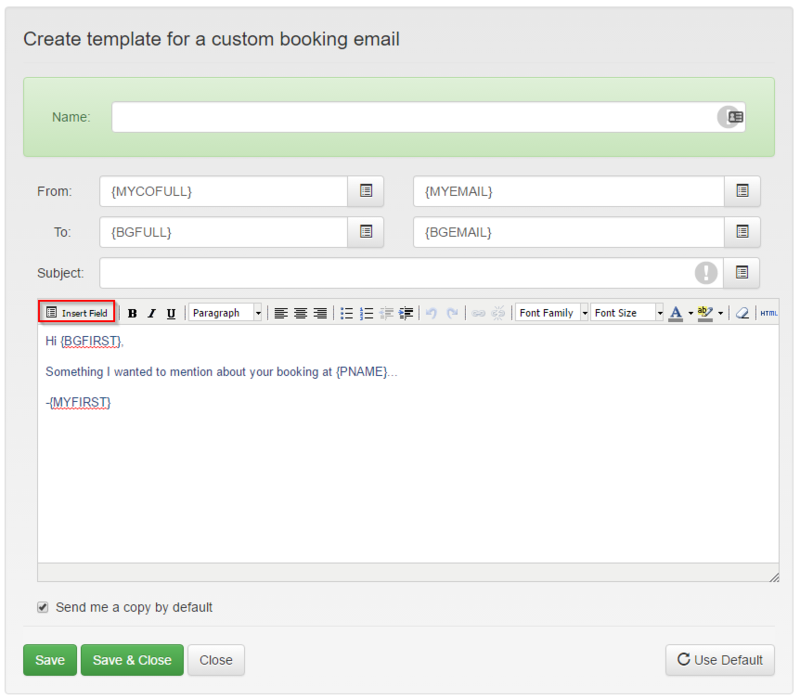 Reference the custom field in your email template. It'll look at the property on the booking and pick the correct value that you have defined on the property. Now we've got an email template set up and values merging in from the property, but we need to hook it up to automatically send. Now we're good to go. 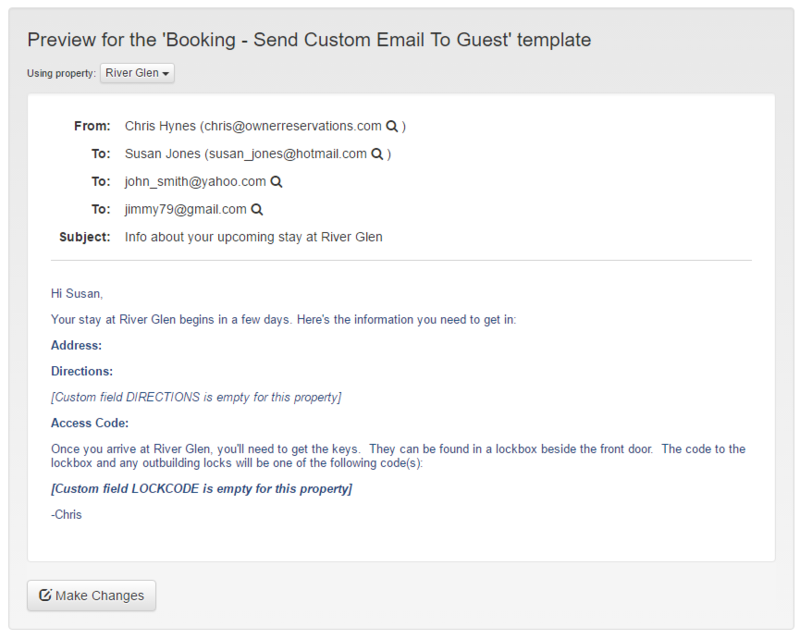 We've got a pre-arrival email template with information merged in from the booking property, and a trigger that sends out the email 7 days before arrival. Lets go look at a booking and see where the triggered email shows up. There it is, on the Emails tab, under "Automatic Emails". 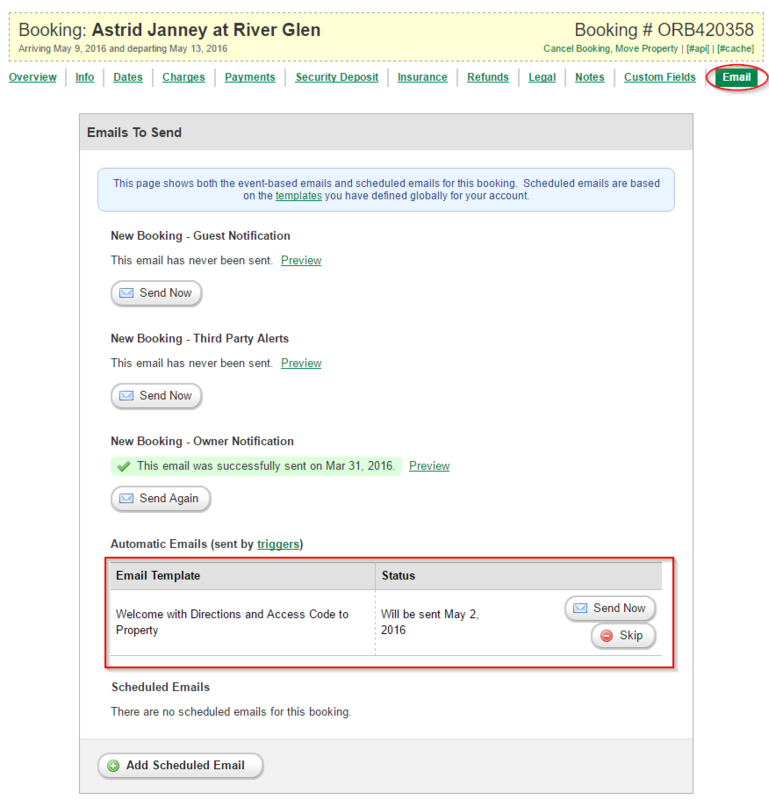 You can use the buttons next to it to send it immediately or skip sending that email for this booking. 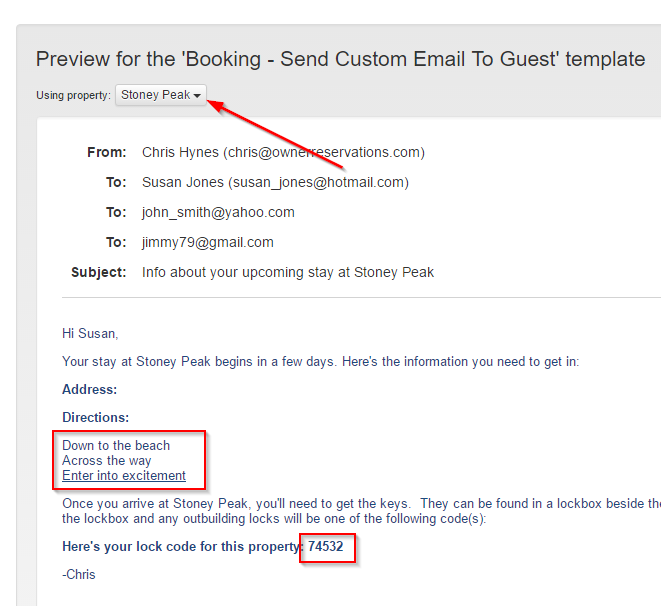 You can also use the Add Scheduled Email button at the bottom to manually schedule a template for a booking (rather than having it automatically scheduled using a trigger).